Asian casino developer and operator Melco Crown Entertainment Ltd announced on Wednesday it was dropping the Hard Rock brand from its City of Dreams casino resort in Macau as well as officially rebranding itself from that day as “Melco Resorts and Entertainment Ltd”. 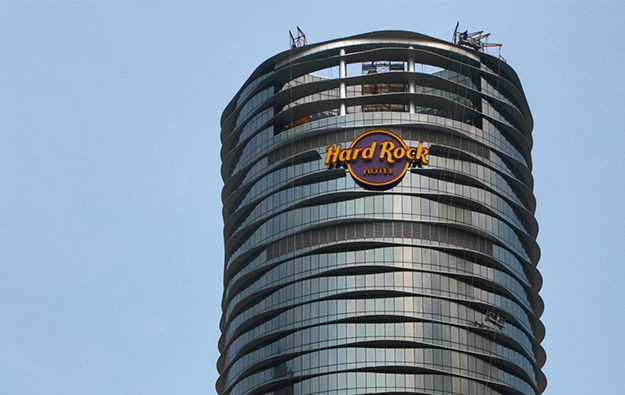 The firm said the Hard Rock Hotel at City of Dreams “will be operated under the name ‘The Countdown’ from July 2017 until March 31, 2018″ and would get a new branding after that time. The same release said that Morpheus, City of Dreams’ fifth hotel tower – a facility that will have gaming and that was designed by the late Dame Zaha Hadid – would open in April 2018. Also on Wednesday in a separate press release, the company confirmed it had formally adopted the name Melco Resorts, changing from its former moniker Melco Crown Entertainment Ltd. Melco Resorts added that the Nasdaq-listed firm’s stock ticker name would also change, “on or about April 6″ from “MPEL” to “MLCO”. Its company name as rendered in Chinese will not be altered, the legacy firm Melco Crown had said in an earlier filing. The company’s new website address will be www.melco-resorts.com, it further stated in the Wednesday press release that detailed the company name rejig. 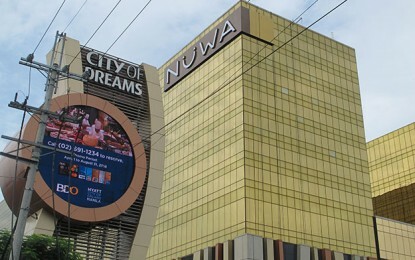 Hong Kong-listed Melco International Development Ltd had announced in December that it had taken a majority position in Melco Crown – which operates casino resorts in Macau and the Philippines – following a series of sell downs by its business partner in the Melco Crown venture, Australian casino operator Crown Resorts Ltd.
One of the hotels at Melco Crown’s City of Dreams resort in Macau, currently carries the name Crown Towers. A filing in late December said Crown Resorts and its subsidiaries have the right to terminate any licence granted under intellectual property agreements – including a trademark licence – if the direct and indirect shareholding of Crown Resorts in Melco Crown fell below 25 percent. Meanwhile, Melco International had announced on Monday that the legacy firm Melco Crown had granted restricted shares worth approximately US$3.90 million, to Lawrence Ho Yau Lung. Mr Ho controls Melco International and is also the chairman of Melco Resorts. The award of the shares in the legacy Melco Crown followed the publication of that firm’s audited annual results on March 29, said the Melco International filing. Melco Crown had said in a February filing to Nasdaq in New York that in the fourth quarter it had swung back to profit, compared to a net loss of US$12.3 million in the prior-year period. For full-year 2016, Melco Crown reported net income of US$175.9 million, an increase of 66.4 percent from 2015. Melco International stated Mr Ho had abstained from voting at the relevant board meeting on the resolution concerning the granting of Melco Crown shares. The restricted shares issued to Mr Ho – under the legacy Melco Crown moniker – represent 210,490 American depositary shares (ADSs), and the quoted approximate value of the stock was based on a closing price of US$18.54 per ADS as quoted on Nasdaq on March 31. The Melco International filing said the restricted shares granted represented approximately 0.04 percent of legacy Melco Crown’s issued share capital and would be allotted and issued to Mr Ho on the vesting date of March 30, 2020.